On Tuesday, U.S. Attorney General Eric Holder found himself awash in a sea of congressional divide as members from both sides of the aisle addressed him regarding the reclassification of marijuana and as to why the Justice Department is failing to enforce the Controlled Substances Act. During a House Judiciary Committee hearing, Republicans were quick to pounce on Holder for allowing states that have legalized marijuana to govern themselves, to a certain extent. But Holder responded by pointing out that although there are “several things that are technically violative of the federal law”, the feds only pursue definite cases due to lack of resources. The tables were turned in a different direction when Congressman Steve Cohen had his opportunity to speak. He was eager to ask the attorney general as to why the Obama administration has proudly taken executive action on immigration, environmental and labor policies, but not on reclassifying marijuana. “Why won’t the administration act with the pen and the phone to help people out?” Congressman Cohen inquired. “I think we actually have acted in a responsible way,” Holder replied. When Congressman Cohen attempted to explain how “obvious” it is that marijuana has been wrongfully classified, Holder replied by saying that what is “obvious to one perhaps is not obvious to another”. Check out the enclosed video clip to see Congressman Cohen toss Attorney General Holder on the barbeque like a freshly marinated skewer of chicken. Have a hashy day! In a bi-partisan vote on Saturday, the state Senate passed a bill that would make sweeping changes to the state’s marijuana laws. The bill would merge the state’s medical and recreational marijuana regulations. It would create a marijuana registry and require medical marijuana users and their providers have an authorization card. It would also rename the liquor control board, changing it to the Liquor and Cannabis Board. The board still needs to pass the state House and then be signed by the governor into law. The state Liquor Control Board received more than 2,800 applications from people hoping to grow the weed that will supply Washington’s recreational marijuana stores when they open later this year. In all, the applications would have covered 36 million square feet of marijuana plants, vastly more than the 2 million the board wanted produced initially. To solve the problem, the three-member board voted unanimously Wednesday to limit applicants to one license apiece, rather than three. And it decided to allow growers to produce 70 percent of the maximum growing space they applied for. For example, those who applied for three of the largest licenses—up to 90,000 square feet total—will be limited to just one license enabling them to grow 21,000 square feet, at least at first. “Everybody recognized we had too many applicants and too much canopy,” board director Rick Garza said afterward. The state is in uncharted territory as it tries to allow enough marijuana to be grown so that the prices will compete with the black market, but not so much that excess pot finds its way out of state—a concern the U.S. Justice Department cited when it said it would allow the legalization experiments in Washington and Colorado to go forward. In Colorado, where taxed, legal pot sales began on Jan. 1, officials licensed existing medical marijuana shops to sell weed for recreational use. There is no cap on production. Washington expects to issue its first pot-growing licenses on March 1, Garza said. Prosecutors, police chiefs and sheriffs gathered Tuesday in Annapolis to push back against the growing movement to decriminalize possession of small amounts of marijuana or to legalize recreational use of the drug altogether. At a news conference and at a Senate hearing, law enforcement leaders warned that loosening marijuana laws would undermine drug enforcement across the board. They said it would be premature to pass a bill following in the footsteps of Colorado and Washington state, which recently legalized pot, and opposed a separate measure that would treat possession as a minor civil offense. “This legislation sends a horrible message,” said Riverdale Park Police Chief David Morris, speaking for the Maryland Chiefs of Police Association. The otherwise solid show of support for the state’s existing marijuana laws was cracked by the testimony of Neill Franklin, a retired Baltimore police major who has emerged as a vocal opponent of the war on drugs in general and the prohibition of marijuana in particular. Franklin argued the effect of prohibiting marijuana has been to leave its regulation in the hands of drug cartels and street gangs. Most of the active law enforcement officers who attended took a hard line against legalizing marijuana for recreational use, though they were clear that their opposition did not extend to proposals making medical marijuana more readily available to those who need it. “Those lines should not be blurred,” said Anne Arundel County Police Chief Kevin Davis, speaking at a morning news conference. Some of the officers ran into trouble in the less-forgiving venue of the Senate hearing, where the sponsors of the legalization and decriminalization bills repeatedly sought proof of police assertions that law enforcement and public health would be hampered by their bills. Annapolis Police Chief Michael A. Pristoop asserted that 37 people had died of marijuana overdoses on the first day of legalization in Colorado last month. The claim drew groans from the packed hearing room. Sen. Jamie Raskin, a Montgomery County Democrat who sponsored the legalization bill, pointed out that Pristoop had fallen for a hoax that ran in the satirical publication the Daily Currant. Pristoop later issued an apology. “I believed the information I obtained was accurate but I now know the story is nothing more than an urban legend,” he said in a statement. Police warnings of the danger of marijuana overdoses aroused skepticism among senators of both parties. “The only people I’ve seen overdose on marijuana had a big snack and fell asleep,” said Sen. Nancy Jacobs, a Harford County Republican. Morris also took some heat from senators over his assertion that decriminalizing marijuana would lead to an increase in drug use. Sen. Robert A. Zirkin, a Baltimore County Democrat and author of the decriminalization bill, said he had “looked high and low” for evidence from 16 states that now treat marijuana possession as a civil offense. He said he found no evidence suggesting that usage had increased. When Zirkin pressed Morris to back up his assertion with studies, the chief could not. Public polls show growing support for loosening marijuana laws in Maryland and across the country. A recent Baltimore Sun Poll found that 58 percent of Maryland voters favor either legalization or decriminalization. The number of national pollsters confirming that a majority of Americans want marijuana legalized continues to grow. The latest is a new poll from CBS News which found 51 percent of Americans think the use of marijuana should be legal. Only 44 percent still think it should remain illegal. This represents an impressive swing in support for legalization in just the past few years. Just three years ago the same poll found support for legalization at only 40 percent with opposition at 51 percent. This CBS poll also Continue to full story…. Testifying against bills proposed to legalize and decriminalize marijuana in the state, Annapolis Police Chief Michael Pristoop cited a hoax story that claimed 37 people had died the first day marijuana was legalized in Colorado. “The first day of legalization, that’s when Colorado experienced 37 deaths that day from overdose on marijuana,” Pristoop testified at Tuesday’s Senate Judicial Proceedings Committee hearing. “I remember the Continue to full story…. At a Maryland State Senate hearing to discuss decriminalizing marijuana Tuesday, a high-ranking law enforcement official betrayed his total ignorance about marijuana when he claimed that decriminalization would cause a slew of overdoses throughout the state. That information is straight from the Daily Currant, a well-known satirical news site, which claimed that Colorado hospitals were Continue to full story…. 1) 77 percent decrease in state court marijuana cases – Legalization has caused marijuana arrest to plummet saving the state money. This drop is remarkable given that Colorado already had fairly liberal marijuana laws before Amendment 64 was approved. The Denver Post found, “the number of cases filed in state court alleging at least Continue to full story…. Last week, new estimates of the tax revenue that Colorado stands to gain from legal marijuana sales were released, and they are significantly greater than originally thought. 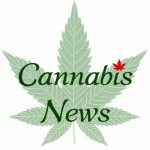 The skies looked bright for legalization at several other points in recent decades, and Continue to full story….